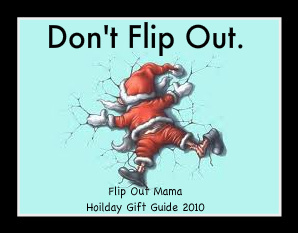 Flip Out Mama: Holiday Gift Guide: Classic Wood Crafts by Creativity for Kids Review and GIVEAWAY! 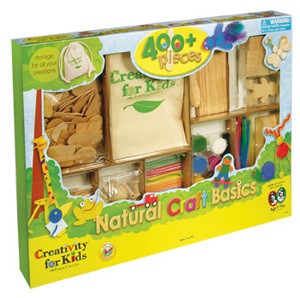 Holiday Gift Guide: Classic Wood Crafts by Creativity for Kids Review and GIVEAWAY! I am very excited to tell you guys about an adorable craft kid I recently got to review from Creativity For Kids (part of Faber Castell). I was sent the Classic Wood Crafts Kit. I was very excited to review this kit, because we are always looking for something "crafty" to do that doesn't require too much "creativity" lol. 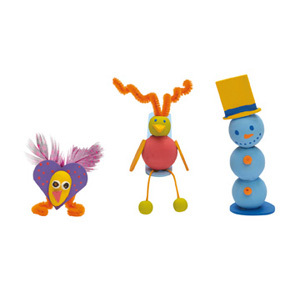 I love Creativity For Kids, they always have such great stuff, so I knew this one would be great too! 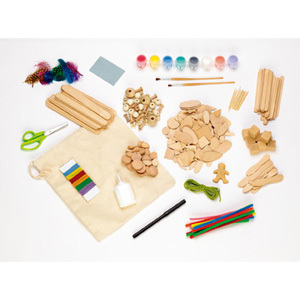 There are endless possibilities to what you can make with this kit! Tater and I had a lot of fun with this kit. His creations, of course, were pretty much paint and glue with a little wood here and there, but he had a great time creating and playing with it. I love the fact that the paint that the kit comes with is eco friendly, and I love that it comes with it's own storage bag.We had a ton of fun with this kit, and I am sure there is much more to come! This is a great rainy day activity! 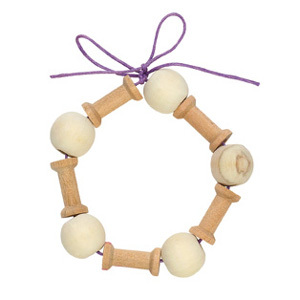 Would you like to win a Classic Wood Crafts Kit for you and your little one? 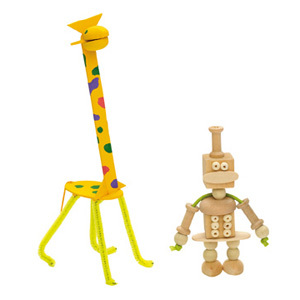 Go here to the Creativity For Kids Website and leave a comment telling me another product you would like to try! +5 entries: tweet/blog/facebook this giveaway. Leave a link to this post. Make sure to leave five comments letting me know where I can find your post. You can do this entry method once per day, making you eligible for five extra entries PER DAY! **Giveaway is open to residents of US and Canada. Contest will end on 12/11/2010 at approx 10pm. Please make sure to leave your email address if it is not visible in your profile. Since prizes are sent from the sponsoring company, I am not responsible for prizes that are lost, damaged, or otherwise not received. Thank you! The Wee Enchanted Garden looks like a lot of fun for a kid. I would love to try the clay center. The Wee Enchanted Fairy Garden looks neat. My daughter would love the Make Your Own Polka Dot Pillow - so cute! I like the Two Glass Bowls 4 U 2 Paint. I would also like to try the Shrinky Dinks - Fairy World kit. Amazing Creatures of the Sea would go great with my homeschooling curriculum on sea creatures but the boys would pick the super heroes book. Thanks for the chance to win! I would love to try the Wee Enchanted Fairy garden. I like the Diva puppies. i like the make your own sea shells kit! I think my daugther would like the make your own lip balm kit. I entered the thirty-one gifts giveaway. I enterd the galstanberry girlz book giveaway. I would like the create your own lip balm kit. My 11 year old daughter would love it! I like the Bitty Blossom Bobble Dolls. My niece would love the Make Your Own Seashells Kit. My son would love the 97% Sky Diver Paper Airplanes kit! I like their mosnter truck painting kit. Thanks! My daughter would love the Recycled Cardboard Dollhouse! The create with clay gingerbread house looks like fun! I like their Ecology & Me colring book! Thanks! I entered the Galstanberry girlz book giveaway. My kids would love the Create Your Own Pop-Up Book kit! My daughter would just really enjoy the butterfly diary! It would be a great place for her drawings and writing! I love the clay gingerbread house. I would love to get the Lip Balm to try for my nieces. Holiday Memories Festive Felt Stocking is another favorite! I also like the Wee Enchanted Garden kit.